Making time for play in Kindergarten is important... even in the 21st Century! 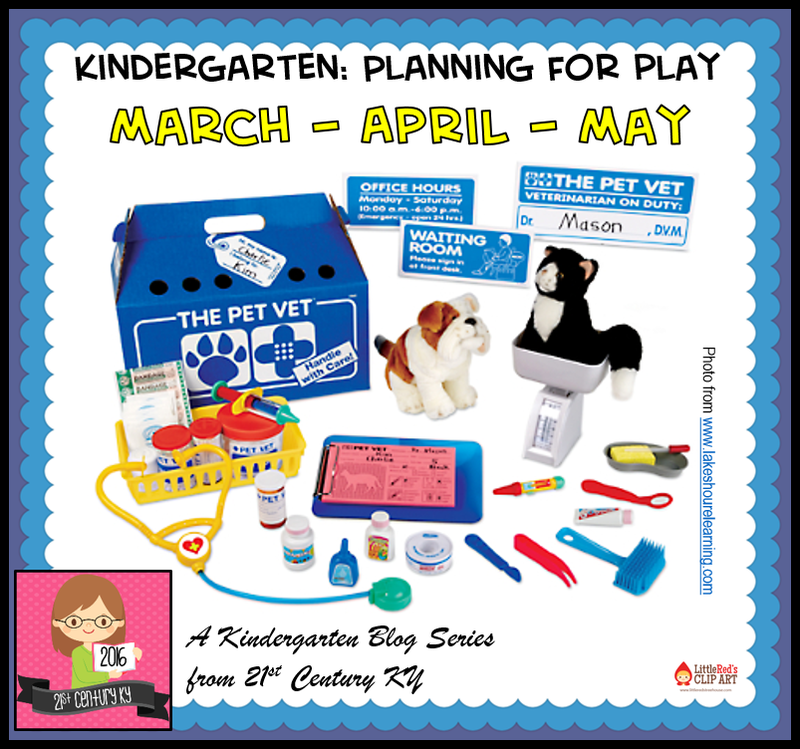 Grab my exclusive and FREE Yearlong Plan for Structured Play and follow along as we discuss themes for March, April, and May. March is all about the Arts at my school. All students in the school are encouraged to create something involving one area of art (music, visual arts, drama, dance, and media art) to share with their class. Then, each class chooses a performance for a special school showcase assembly. This is a wonderful time for students to expressive themselves creatively and share their special talents. April is at the height of spring time and new beginnings. We often study animals during literacy and science time which makes it the perfect month for a Vet's Office! Students are able to develop and solve problems, show care for animals, and role play. 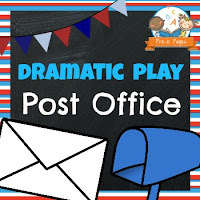 May is my favorite month for play because it's the culmination of my yearlong plan! 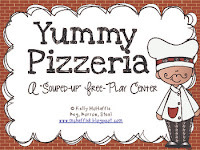 Through opening their own Pizza Parlor, students are invited to plan their play, collaborate, create, and execute their plan with organization, communication, and imaginative interaction. BE SURE TO CHECK OUT PLANS FOR EVERY MONTH OF THE YEAR! 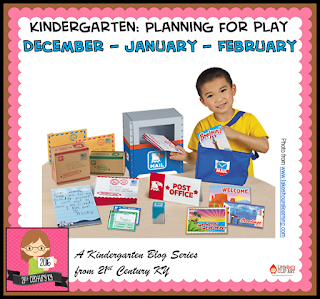 Grab my exclusive and FREE Yearlong Plan for Structured Play and follow along as we discuss themes for December, January, and February. December is a wild and crazy time of year as students anticipate the holiday season. So, why not tap into their imaginations and incorporate engineering and science? With the gingerbread engineering theme students can collaborate, create, and problem solve while having lots of holiday fun! January often brings cold weather and indoor recess. 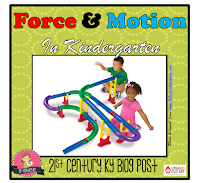 This is a great time to build on the engineering theme from December and incorporate force and motion concepts using marble runs, ramps and balls, and vehicles. Students learn about the effects of force and motion through exploration and experimenting. February is a time when we tend to think about relationships and letting our loved ones know how much they are loved. In spite of major advancements in modern technology, written communication remains a skill all students need to develop. 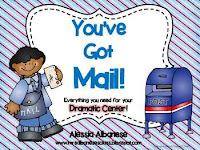 With the theme Post Office students are encouraged to write, communication, and nurture relationships. Grab my exclusive and FREE Yearlong Plan for Structured Play and follow along as we discuss themes for September, October, and November. 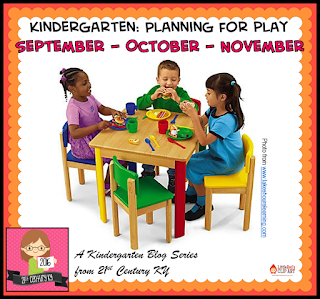 September is all about providing opportunities for role playing and collaborative play. 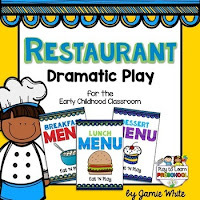 Using a restaurant theme students are able to plan for play, work together and take on familiar roles. October is a time to begin to incorporate important 21st Century skills and appeal to students' need for an audience. Students today watch YouTube, make their own videos, and live their lives providing a step-be-step commentary. Using a news theme gives students the chance to learn about the ins and outs of media and communication and establish what it means to interact with an audience. November's travel theme helps students understand the bigger picture and realize there is a big world around them just waiting to be discovered just like the pilgrims and explored just like the Native Americans! Is "Calendar Time" a Thing of the Past? One of my most favorite parts of teaching Kindergarten and first grade is Calendar Time. It's a wonderful way to start the day with routine, a good time to review math skills, and go over the day's schedule. As a first grade teacher ten years ago, I prided myself on my calendar bulletin board. It was all-inclusive; covering topics from the days of the week to the changing seasons to classroom jobs and everything in between. It was expansive; filling an entire bulletin board! Above all, it was cute, color-coordinated and trendy. (Of course!) I loved that board and the time my students and I would spend every morning reviewing concepts, sharing, and prepping for the day ahead. When I returned to the classroom from an intervention position to teach Kindergarten a few years ago I set up the board of all boards! I bought new date cards, learned new songs, created streamlined flip charts, added Velcro to my money chart, and re-bundled my straws for the tens/ones chart. I was determined to make my Calendar Time awesome! I just KNEW my students would LOVE it as much as I did! BUT, I was SO disappointed!! My students weren't engaged, weren't singing/playing along, and (worst of all) weren't learning! I was stumped! What was keeping them from engaging? 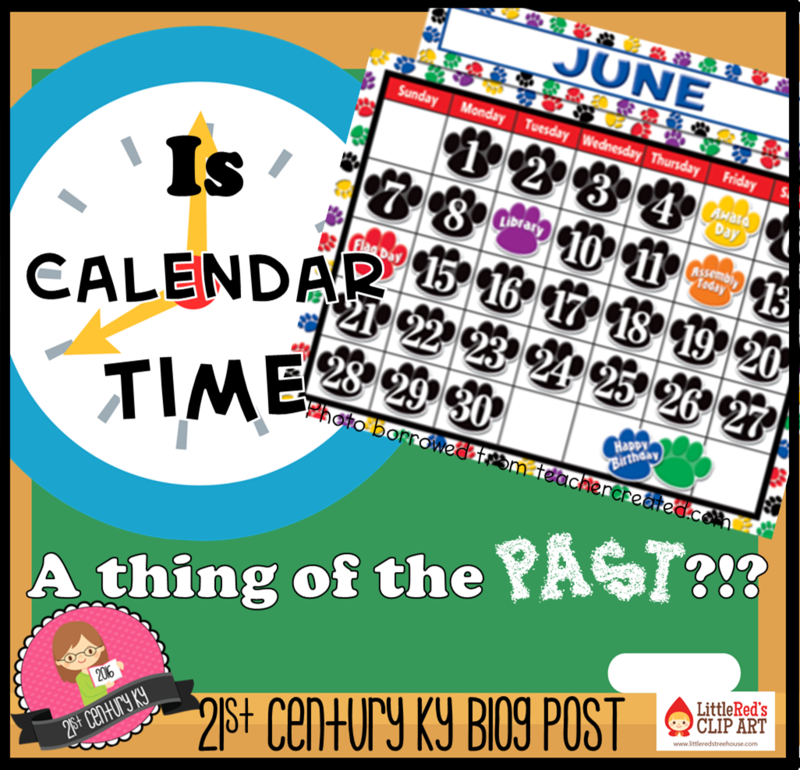 In my few short years out of the classroom had Calendar Time become obsolete?!? Calendar Time was the SAME, but my students were DIFFERENT! bring my beloved Calendar Time into the 21st Century. I searched for a program or product that would accomplish what I wanted, but there wasn't much out there. So, I started from scratch and created my first (very primitive) calendar file for the SMART Board. Once I saw how engaged my students were (with the same concepts I was trying to teach using my old-fashioned bulletin board, mind you)... I kicked my creative juices into overdrive, abandoned my bulletin board calendar, and NEVER LOOKED BACK! I read recently that Calendar Time is a thing of the past and that it is among a list of "Old School" practices that should be stopped... Well, I couldn't disagree more! Since switching to an interactive, SMART Board version I found that my Calendar Time has become even more vital than before! They learn calendar basics, weather and season characteristics, celebrate birthdays, and cheer every Friday! They learn basic math skills and cover standards involving counting, base ten concepts, and graphing! 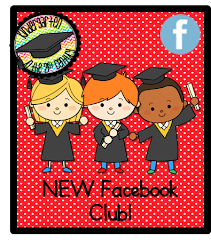 They learn to use technology to demonstrate what they know and interact with new content! They work as teams to problem solve, use discussion to explain and communicate, encourage each other through collaboration, and develop leadership skills as they take their turn as calendar leader! 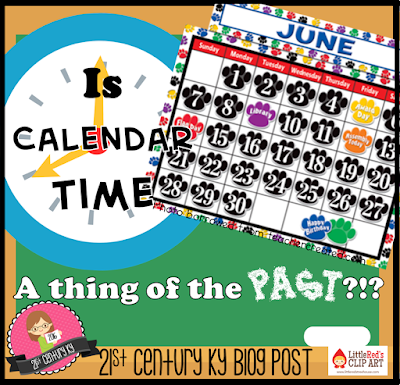 Interested in how I used my SMART Board to bring Calendar Time out of the dark ages? Check out my YouTube Demonstration Video! Then download my SMART Calendar FREEBIE and try it for yourself! 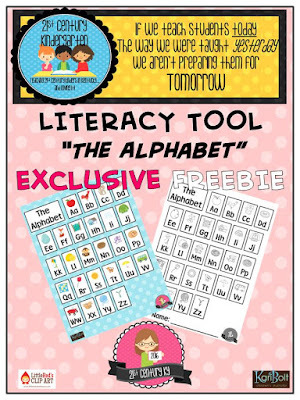 Your Kindergarten and First Grade students will thank you! 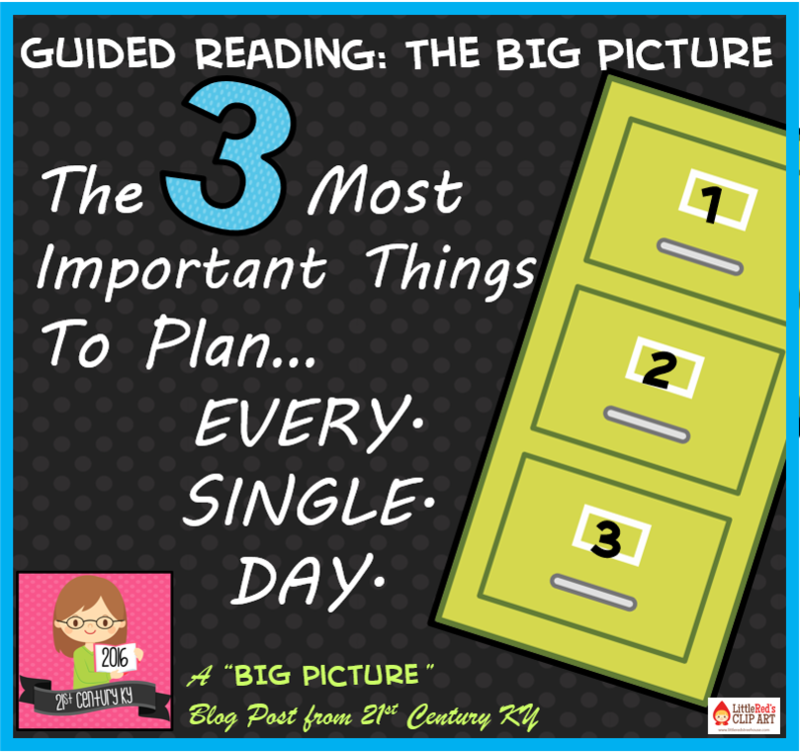 Do you teach calendar in your primary classroom? I'd love to hear about it in the comments below! There. I said it once and for all. I hate sight words. I mean, they break all the rules, they are easily confused, and they are a pain to assess and keep organized! As a teacher I hate feeling like a failure when we go over and over words like "the" and "what" and "said" and many of my Kinders or struggling readers still don't know them. As a parent I feel pressure to suffer my own children through flashcards and list reviews just to be able to compete with other kids or earn a reward for finishing a set of words. As an interventionist I hate that my hard-working students' reading abilities are judged by the number of words they can call in isolation. I'll bet you have felt some of those same things, but just didn't say them "out loud." So, if that's the case, then why oh why do we devote so much time and energy into teaching sight words?!? Or maybe you think I'm crazy and you LOVE sight words?!? There are certainly many schools of thought on the matter. Sight words are not decodable there for the only strategy for reading them is to memorize them. Sight words (or more specifically high frequency words) account for more than 50% of printed material. Knowing sight words with automaticity quickly improves reading rate and fluency. 5. We are missing the bigger picture! When we emphasize memorization of whole words we tend to neglect the idea that words are made up of smaller sounds (or phonemes). Young readers need to understand that words are made of parts and when they know lots of parts they can figure out lots of words (without having to memorize them all). 4. We are unfairly judging our students. There are lots of ways to solve words and memorizing them is only one way. 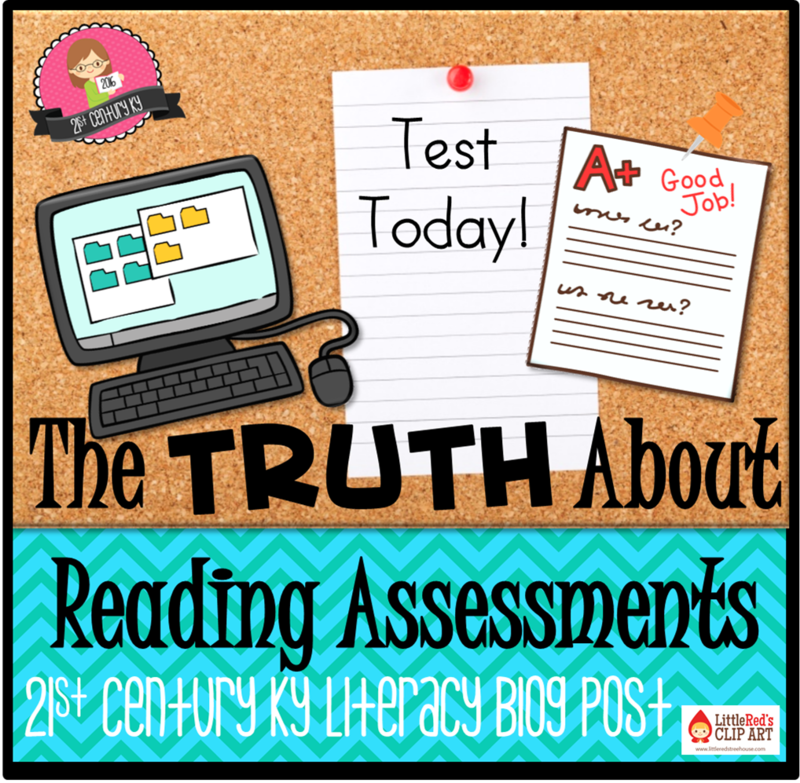 If we classify, rank, or even reward our students for memorizing lists of words and equate quantity of memorized words to reading ability we are being very unfair. What about all the other ways readers solve words?!? Words can be solved through phonics, context clues, picture cues, and a strong grasp of oral language. 3. We are putting undo pressure on everyone! The idea that Kindergarten students need to know X-number of sight words just causes stress. Teachers, parents, and students should not feel stress or pressure to memorize words at a young age. That often just results in a lot of frustration for everyone that, if we really think about it, is unnecessary. 2. We are wasting too much time! It's hard to make time for sight word assessments because they take so long, they have to be completed one-on-one, and there are always a few words that need to be rechecked. We could probably find a much better use of our instructional time if we really stopped and prioritized. 1. We are instilling in our children that they have to "KNOW" all the words. Nothing makes me more sad than for a struggling reader to tell me, "I can't read that story because I don't know all the words." Kids are perceptive. 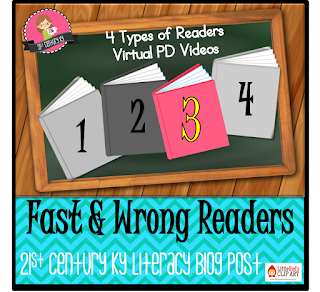 When we pull them aside or send them in the hall over and over to review lists upon lists of isolated words... they know when they aren't "getting them" and they begin to believe that that CAN'T read because they haven't memorized the words. 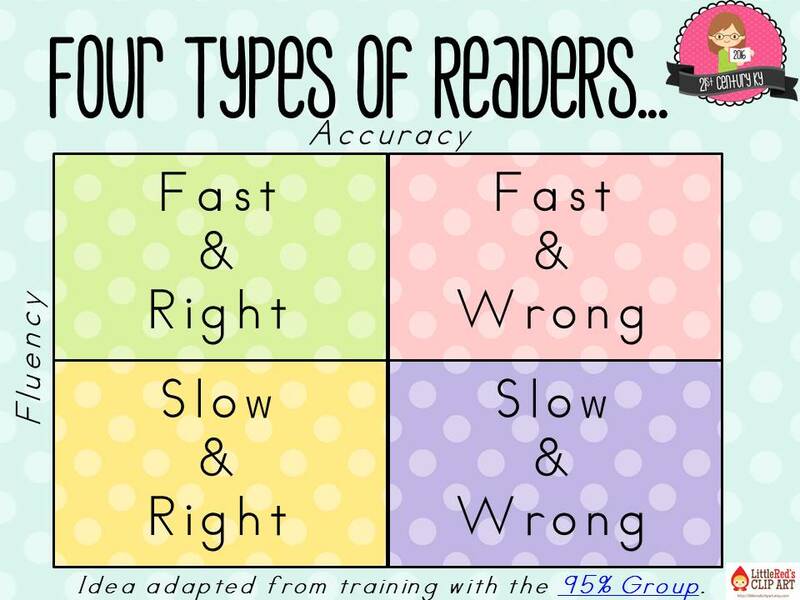 They internalize this idea and think that reading is just memorizing... and they couldn't be more WRONG! Have you joined me yet? 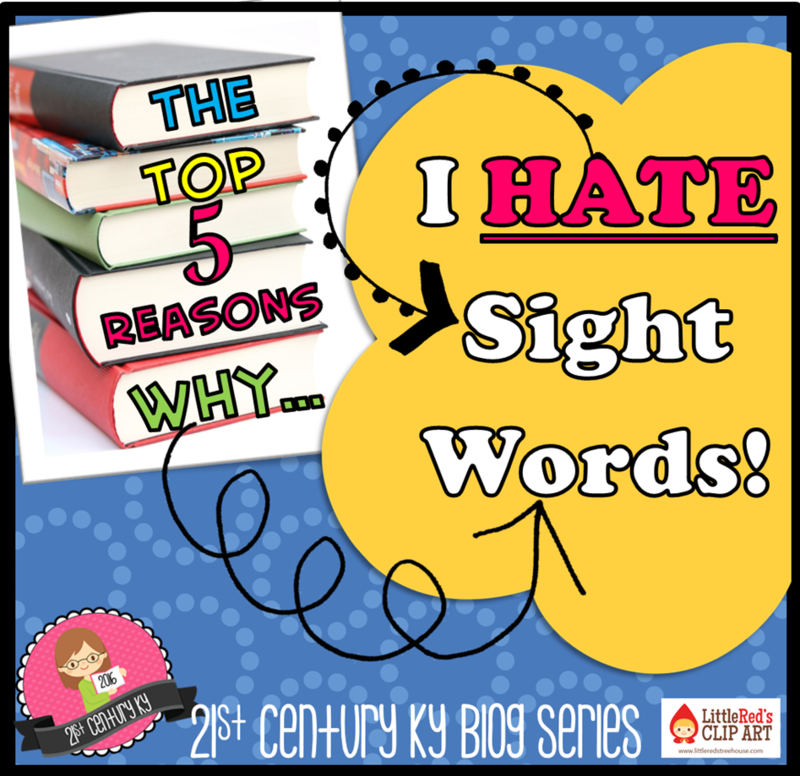 Do you hate sight words, too? 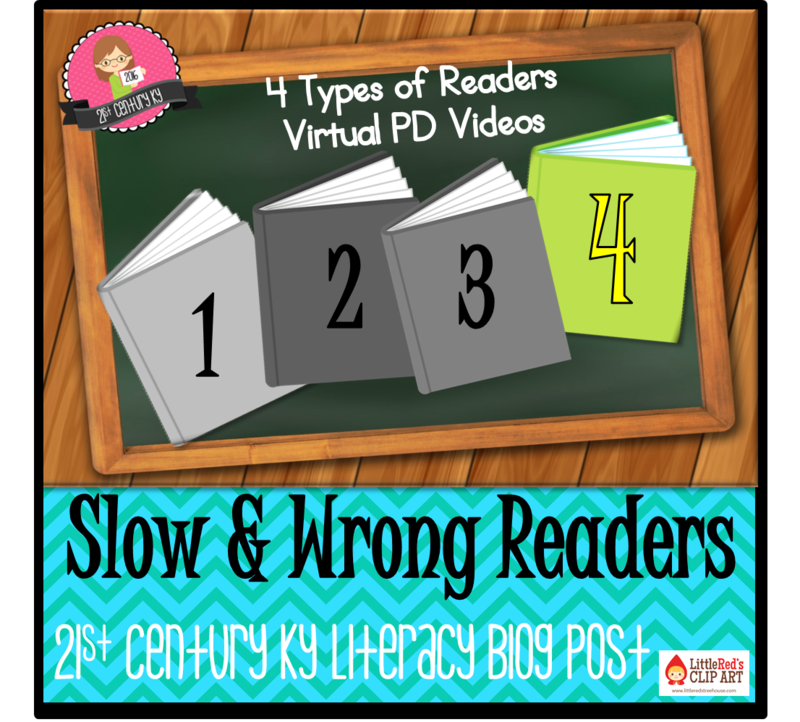 Either way, I'm issuing a challenge to reading teachers. As you are planning your next bit of literacy instruction replace time spent on sight word flash cards, sight word list reviews, and sight word assessments with... Reading! 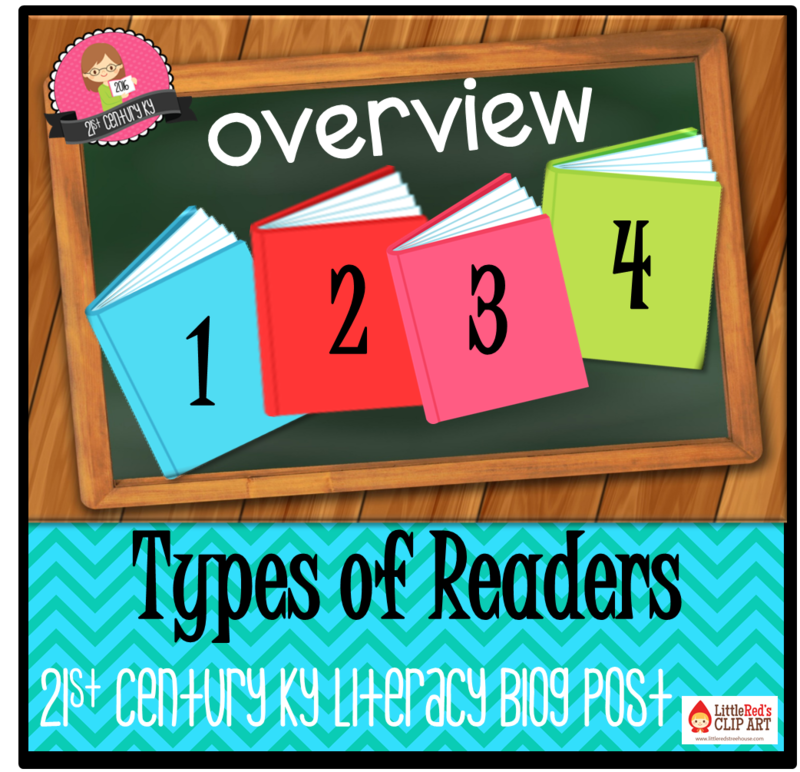 Beginning readers need to be paired with actual books that are on their level. Books for early readers are rich in sight words and typically have patterned text. Through repeated interactions with these texts students will vicariously learn sight words because they will be faced with them often. But, instead of memorizing them in isolation, students will begin to recognize them in-context while reading and making meaning. Learning words in this way will result in faster acceleration through reading levels and a more firm grasp of the words as they are encountered in a variety of ways. 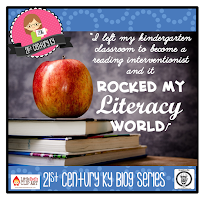 Students will be much more confident in themselves as a reader because they are learning through the act of reading. Students will also realize that good reading means solving words using lots of strategies... not just memorizing them all. 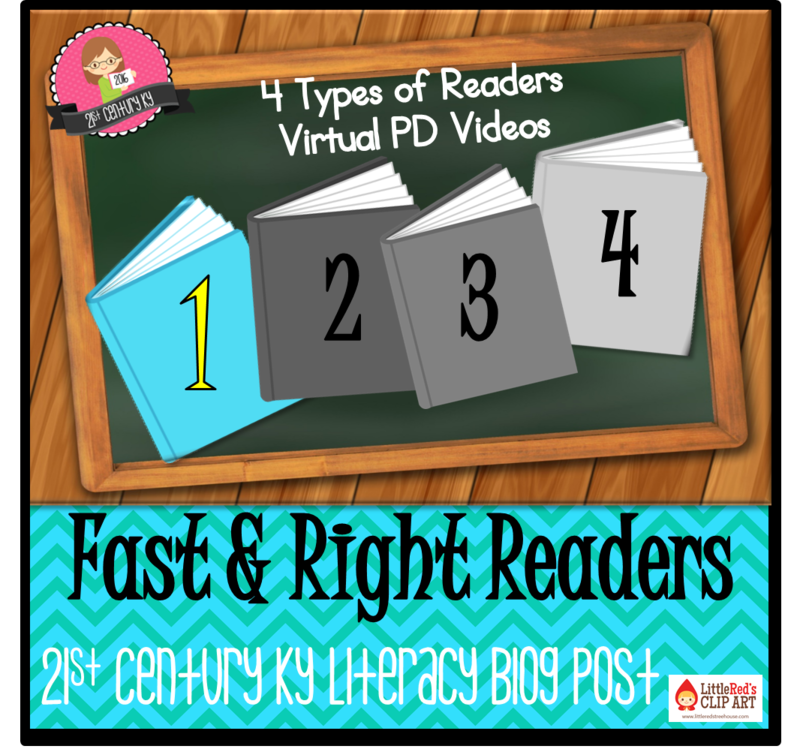 After putting a stronger emphasis on and spending more time actually reading and less time memorizing words for awhile... Go ahead... assess your students using a list of sight words and I'll just bet that you will find your students (especially the struggling ones) know more of those pesky words with an even faster recall. Imagine that! *Wink, wink! 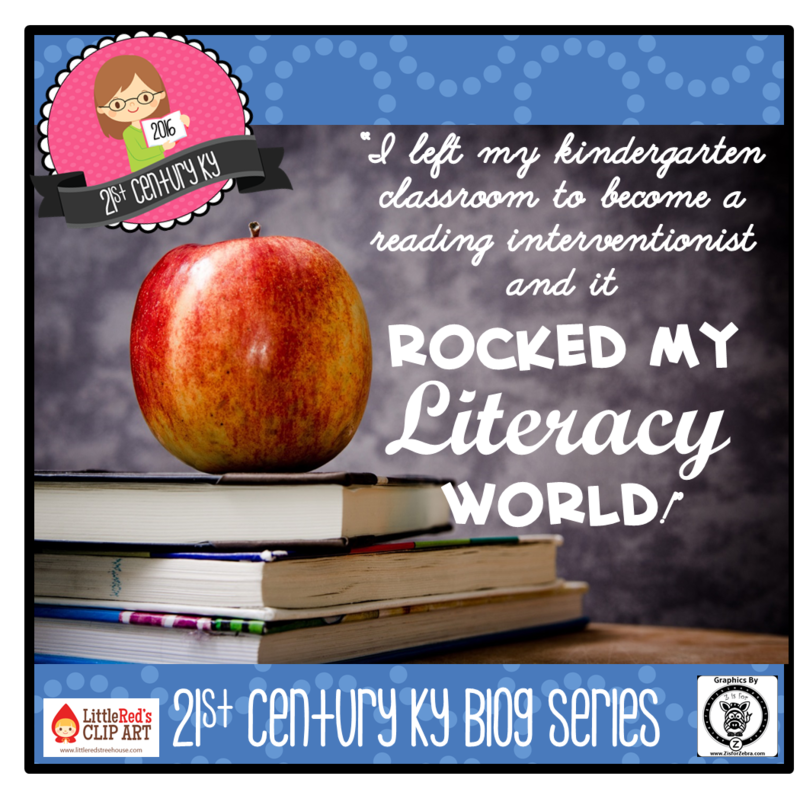 Be sure to check out my other posts on how becoming a reading interventionist completely changed my views on reading development and instruction! Phonological Awareness to be the cornerstone to beginning reading skills. As an interventionist I have learned WHY that is so. 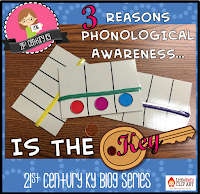 First - What is phonological awareness? Phonological Awareness is the understanding that words are made up of sounds and that those sounds can be manipulated (separated, changed, isolated, etc.) Phonological Awareness IS NOT Phonics. 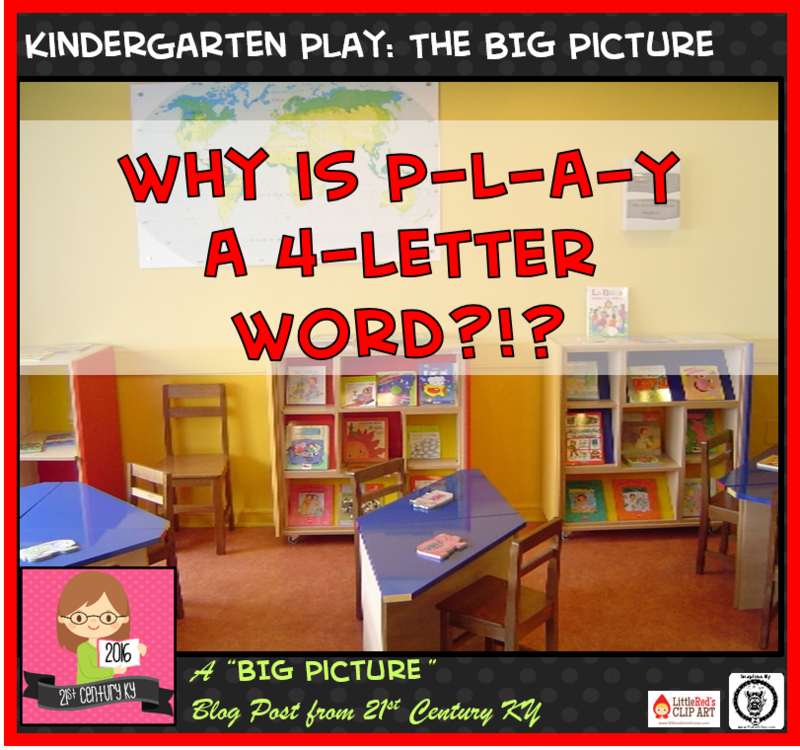 Phonics is the understanding that those sounds can be associated with printed letters. 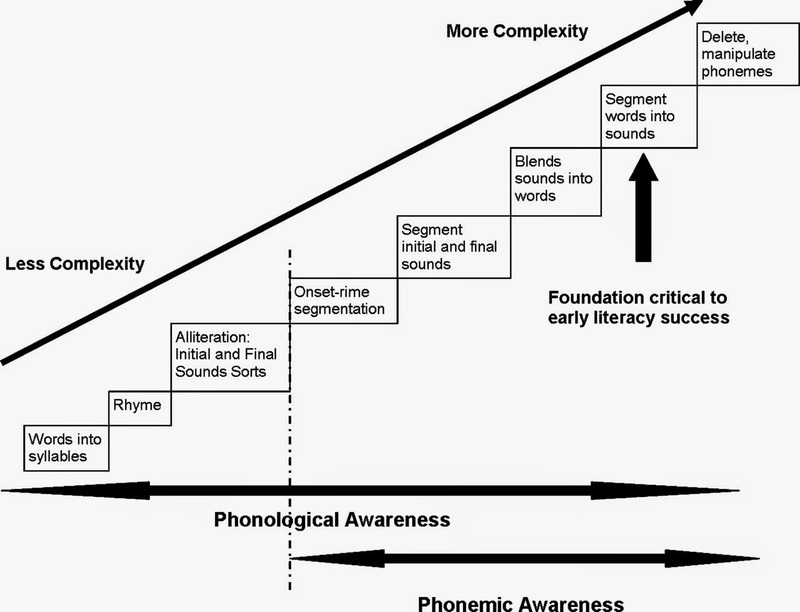 A sub-skill of phonological awareness is Phonemic Awareness. This is the understanding that words are made of a group of individual phonemes (or sounds). Research shows that students can master Phonemic Awareness skills in about 20 hours of instruction and practice. It is very important to provide opportunities for practice with each level on the phonological awareness continuum during the primary grades. Second - Why is Phonological Awareness so important? Phonemic Awareness in particular has implications not only in reading, but also in writing. Once a child can articulate each sound in a word, he or she is ready to assign a letter (or letters) to those sounds in order to spell and write (that's where Phonics comes into play). 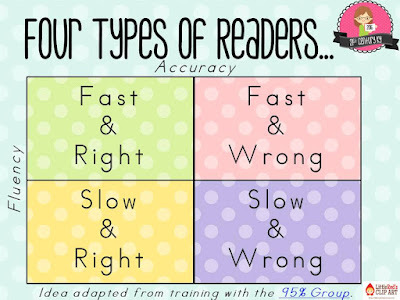 Likewise, students who can segment words better understand how to blend sounds when reading. For some students hearing the separation between phonemes (sounds) is very difficult. Delays in speech or hearing development can significantly complicate the process and they may need extra practice with the skill of articulation. HOWEVER, firming Phonemic Awareness skills is crucial to success in reading and writing. Third - How can we teach Phonemic Awareness? There are many different ways to practice phonemic segmentation with students, but one tried and true way is through the use of Elkonin boxes. To use these boxes students segment and push chips into a box as they say each sound. I created these Elkonin boxes for my struggling Kindergarteners. After drawing the boxes, I added a pipe cleaner before laminating. The action of "pushing sounds" over the little bump was all it took to help them "feel" the breaks. Watch as my daughter tries it out! 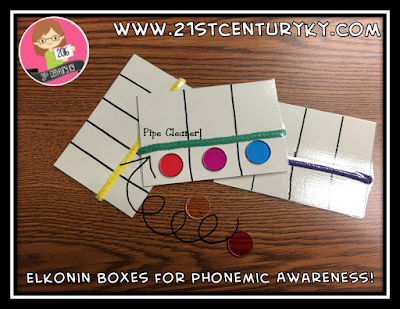 Here's a few other fun ways to practice phonemic segmentation! Use exercises like toe touches or jumping jacks to physically move with each sound. 1. 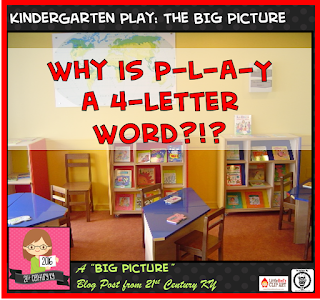 It provides students with a basic understanding of how words work before they begin to actually read and write. 2. When they understand that words can be manipulated, students begin to realize that words are made up of individual sounds in a specific order. Now watch as Leah segments and then assigns letters to each sound using her boxes. ALL young students need practice with phonolgical awareness and it's a skill ALL students can and should master by second grade. 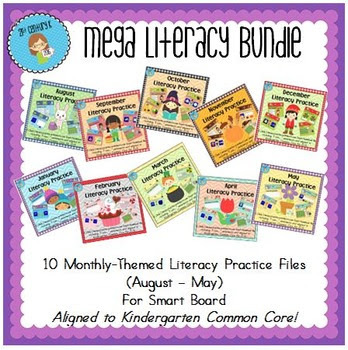 If you are looking for a way to add more practice with literacy skills into your school day and you have a Smart Board, then check out my monthly Literacy Practice files over at TpT! 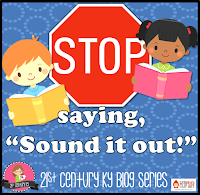 Stop Saying, "Sound it out!" You heard me correctly! I said, "STOP telling readers to sound out words!" 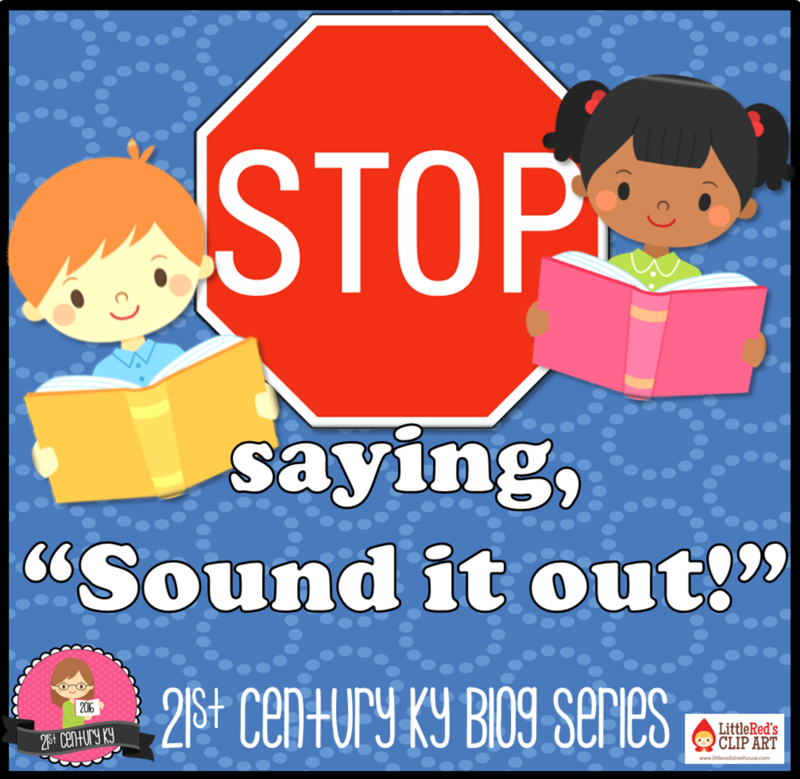 When young children are reading aloud to us and come to a word they don't know or are unsure about we (teachers and parents alike) typically have one of two responses. 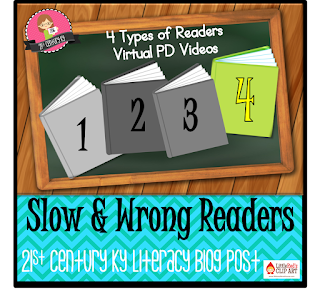 Until my recent training in Reading Recovery (read about that here), I responded in these ways, too. BUT, I never really thought about what I was actually communicating to my students (and my own children) when I reacted in these two ways. One knee-jerk reaction is to just tell the child the word with which he or she is having trouble. The other response we have is to tell the reader to, "Sound it out," when they come upon a new or difficult word. What are we conveying to students when we simply tell them the word with which they are having trouble? Imagine if you were working to try a new recipe and Bobby Flay (or worse, Gordon Ramsay!) was over your shoulder watching your every move. Would you be nervous or self conscious? I would be! Now imagine that every time you stopped to consult the recipe, double check what you had added last, or went to the spice cabinet, Bobby swiftly stepped in and told you exactly what to do. For awhile this might be nice, but what if the next day you needed to make the same dish and Bobby wasn't there?!? Would you remember what to do? Would you have the same questions? More importantly, would you BELIEVE that you could recreate the recipe? Probably not! After all, Bobby is an expert chef and you are just a novice. When we jump in and give words while children are reading we communicate that we are the "expert over their shoulder," and we don't believe they can figure out the word on their own. We provide a safety net that does NOT help to foster reading growth. From our action children learn that if they stop or even hesitate THE EXPERT (us - not them) will be there to give them all the answers... if we continue this pattern, how can we expect students to EVER learn new words or know what they should do when that safety net is gone?!? notice what he or she is trying alone so that you know how to jump in and help. If the child is hesitant to try the word alone, prompt him or her to TRY something (really anything) such as look at the picture, read past the difficult word then go back, start the sentence again, etc. BUT DON'T SAY, "Sound it out!" When we prompt young readers to "sound out words," what are we really communicating to them? We are essentially saying, "start at the beginning and say the sound each letter makes in order to solve the word." And when we use this phrase repeatedly we are really saying, "you should do this every time you come to a tough word because it is the only thing that works." 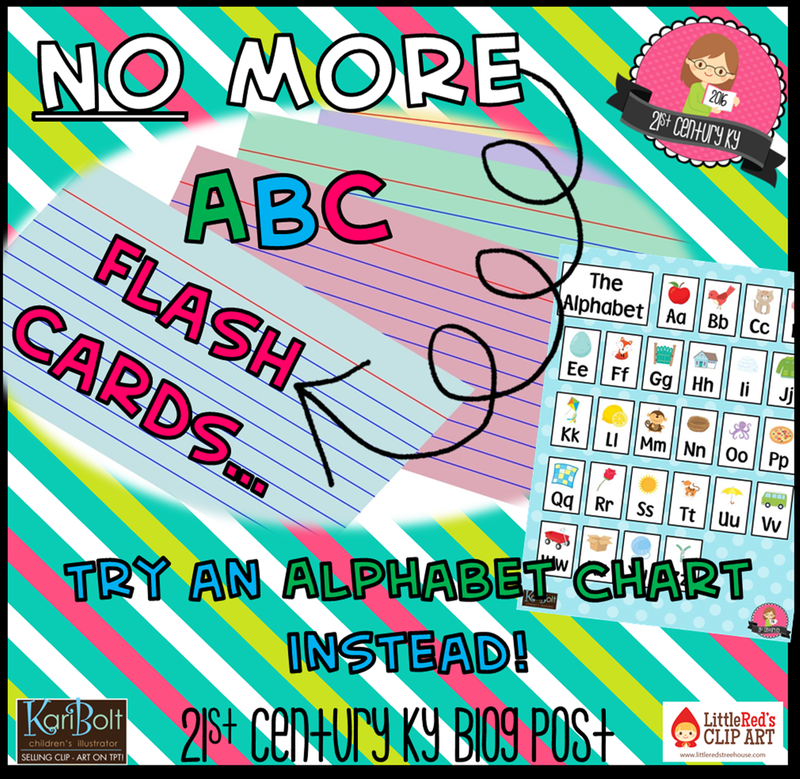 If what we just said is true, then what about words with more complex letter combinations, silent letters, schwa sounds, affixes, and those dreaded SIGHT WORDS (man I really HATE those)?!?! Research shows that accomplished 2nd grade readers attack words in over 60 different ways and most of the time they DO NOT start at the beginning and sound out words letter by letter. Prompt children to use their eyes to search the difficult word for clues. If the child is hesitant to try on his or her own or is unsuccessful, give specific clues within the word that may help such as digraphs, affixes, beginning sounds, words-within-words, etc. NEW! Check out this accompanying YouTube video with teacher/student examples! As we are helping young readers learn we have to remember our hope is they will gain skills so that the next time they read and we aren't there to help them, they will have the confidence and skills to solve new and difficult words ON THEIR OWN! NOW, the next time you are listening to a young reader take note of your reaction to their struggles... When you are careful with your response what happens? Comment below and let me know - I can't wait to hear about your experiences!